I so love it when the Moon smiles in the sky. No Full Moon painting for me this month. Our sky was socked in with clouds. Pam, the calendar you created at Lulu.com came today and it's lovely! 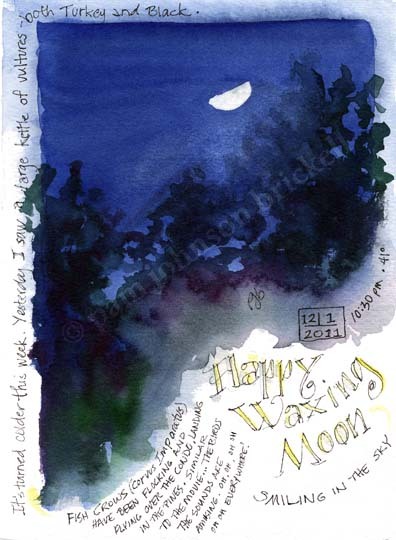 So full of your beautiful artwork and interesting astronomical events printed - and each full moon so I'll know when you'll be out there painting :) Thanks so much for sharing this creation with your viewers!